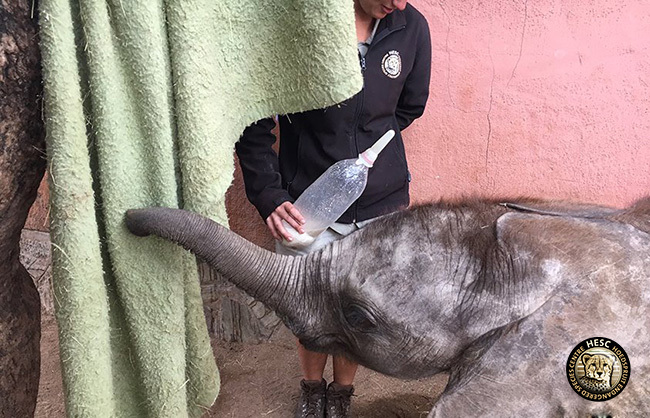 Many who have been following Shawu’s story, our orphaned elephant, would have noticed that whenever the curators feed him his bottle there is usually a blanket that is hanging on a tree in front of him. 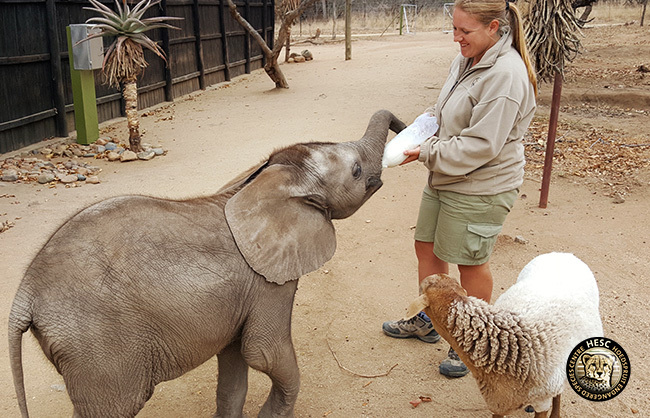 The blanket was introduced during Shawu’s early days as a source of comfort and for him to notice when it was feeding time. So, whenever one of the curators hangs up the blanket, little Shawu comes and rubs against it and lifts his trunk in anticipation of his bottle. 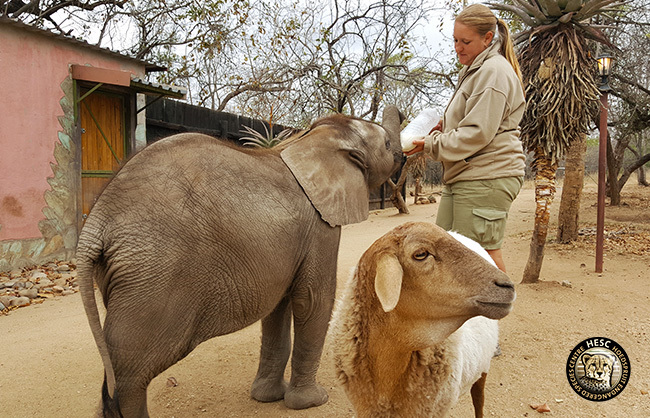 There are two of these blankets which are alternated whenever one is in the wash.
Now that Shawu is getting older and is being prepared for the day when he will leave HESC to join the Camp Jabulani elephant herd, we have decided to let go of the blanket. Shawu now spends a lot more time in the bush as that’s where he will be spending most of his days browsing with the herd. And of course, while Shawu and his keeper are out in the bush, Lammie, his sheep companion, is also often close by. We are absolutely delighted with how far Shawu has come since his arrival at the centre.